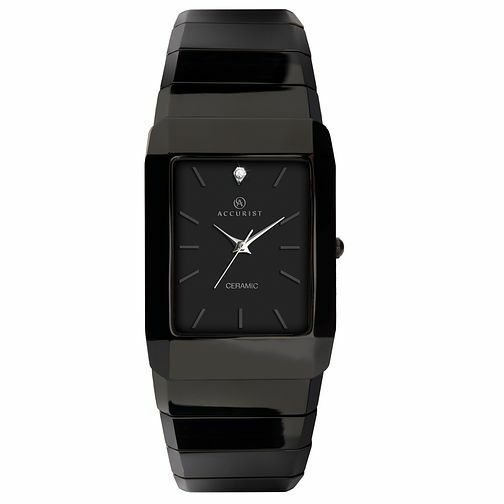 Accurist men's black ceramic bracelet watch featuring rectangular black dial and stone set detail. An edgy men's design from Accurist. Accurist Men's Black Ceramic Bracelet Watch is rated 4.3 out of 5 by 6. Rated 5 out of 5 by Anonymous from Lovely watch Bought for my husband for Christmas so don't know what he will think yet but I think it's a lovely watch,not to heavy looking on the arm, love the shape of the face and the black ceramic is very striking.